FPF is celebrating our tenth anniversary. In recognition of this milestone, FPF policy experts will be sharing their thoughts on FPF’s progress and the work ahead in a series of blogs over the coming weeks. Our 10th anniversary celebration will be on April 30. RSVP here. 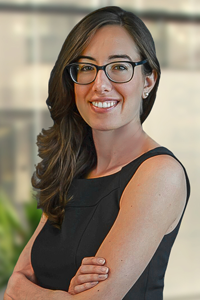 This week, Policy Counsel Lauren Smith discusses connected cars and the future of mobility. What do you expect the next 10 years of mobility and privacy to look like? Share your thoughts by clicking here. FPF Policy Counsel Lauren Smith didn’t see herself as a “car person” when she joined FPF in 2016. Three years later, she leads FPF’s Data and Mobility Working Group and regularly shares her expertise on the subject in speaking engagements, media interviews, and with state and federal regulators, among other stakeholders. She recently answered some questions on the state of connected cars, FPF’s work in the space, and the future of mobility. So, what drew you to work on data and mobility at FPF? How did it differ from your prior work? I had been advising on tech policy, privacy, and big data at the White House Office of Science and Technology Policy, where I contributed to a report on Big Data and Privacy. Those efforts raised several important questions around privacy and data access, the emergence of new technologies, and the social and ethical impact of these advancements. When I got to FPF, I was fascinated to see how rapidly the auto industry was changing, but I also noticed that it faced many of the same issues as the other “Internet of Things” technologies I was familiar with in my previous work. The maxim at most of the conferences I attend now is that we will see more change in the transportation industry over the next five years than we’ve seen in the past 50. Much of this transition is driven by technological advances and opportunities presented by data, and it has been fascinating to get to know an industry during such a unique period. What sort of work has FPF done on connected cars over the past 10 years? What challenges have arisen during that time? Data collection in cars isn’t new; for instance, there have been computer systems in most cars since at least the 1990s. The biggest change has been an explosion in the variety, volume, and connectivity of the data collected. As Americans, we tend to associate cars with personal autonomy, but we need to start thinking about cars like we think about our smart phones, rather than as mechanical chassis that get us from point A to point B. A few years ago, the auto industry anticipated these changes, and nearly every automaker committed to a set of privacy principles for auto data that enable the benefits of these new technologies while establishing baseline privacy protections for consumers. FPF contributed to the effort to establish these principles and has proceeded to be one of the only groups deeply focused on this space. Our work has included creating a Consumer Guide to the Connected Car that auto dealers can hand to consumers; leading efforts to map the vehicle data ecosystem through projects like Data and the Connected Car 1.0; filing comments in federal, state, and local regulatory efforts; hosting convenings for thought leaders in this space throughout the U.S. and Israel; and continuous media and public speaking efforts to better educate consumers, regulators, and lawmakers alike on new developments. My TEDx talk was a fun highlight that allowed us to reach new audiences. It has been a pleasure learning from and working with our Data and Mobility Working Group members, which includes representatives from auto manufacturers, ridesharing companies, mapping, telecommunications firms, mobility startups, and more. 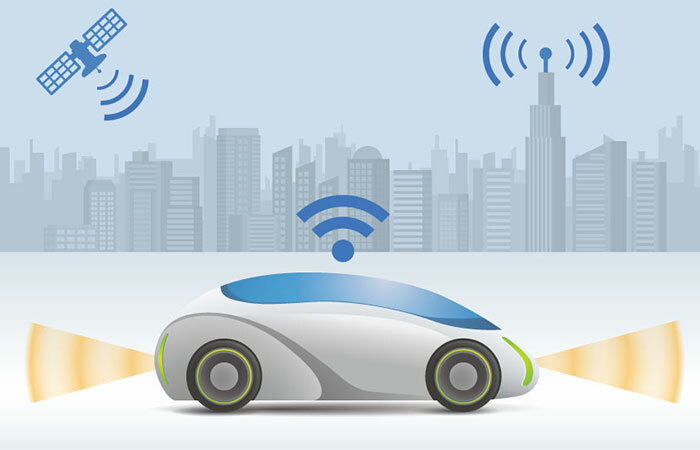 What are some current hot topics in mobility and connected cars? Right now, we’re seeing a rapidly changing industry encounter a series of new scenarios. First, the mobility ecosystem includes so much more than connected cars. Scooters and shared bikes have grown immensely popular over the past few years, and they produce data that is increasingly of interest to state and local regulators. Mobility data has the potential to make our city transportation infrastructure and planning far more efficient, but any such efforts need to be thorough in creating credible privacy regimes around the data they collect. Next, we’re seeing a growing number of sophisticated technologies, but we still haven’t answered some basic questions around mobility data, such as who can access it, who manages the consumer relationship in a vehicle, which of this data is “personal,” and how to efficiently wipe basic personal data when vehicles are transferred between users. At the same time, we’re seeing regulators who care about privacy trying to ascertain how to regulate such a new space without limiting the opportunities that these technologies can bring. As the industry navigates its compliance with new privacy laws like GDPR and CCPA, I’m hoping we will see new tools and have the needed conversations to ensure we build a trusted mobility data ecosystem. As these conversations evolve, cars are gaining powerful on-board processing systems and advanced sensor technologies, with a growing ability to protect safety, monitor happenings inside the car, and gather information on driving habits and consumer preferences. We emphasize the word “ecosystem” because there are a growing number of entities involved. The impact of these technologies will extend far beyond just automakers, impacting the insurance industry, mapping companies, telecommunications providers, public transit, city planners, and more. As driver assistance and autonomous features enable serious safety benefits across our roads, we think it’s our job to ensure we can build a privacy-protective ecosystem that supports them and that earns consumer trust. What about the next 10 years? What technological advancements and privacy challenges can we expect to emerge in this space? It’s so exciting to look out on this space 10 years out. I get asked these questions a lot: Will there be flying cars? Will my 3-year-old ever need a driver’s license? The only constant is change right now, and it’s raising a lot of really interesting questions. By some estimates, the global revenue pool from connected car data is expected to hit $750 billion by 2030. The companies using and generating this data will face many of the same questions around privacy and advertising and data sharing and access that we’ve tackled in other FPF verticals. The good news is that we aim to help the mobility industry learn from other sectors that have already tackled similar issues surrounding data privacy management and regulatory infrastructure. For example, our mobility work has often merged with our location work recently, and I expect that to continue as we face questions around sensitivity of the geolocation that is fundamental to mobility technologies. I would expect to see major developments not just in advanced driving assistance systems and autonomous vehicles, but also vehicle-to-vehicle and vehicle-to-infrastructure communication. More advanced sensor technology using lidar, hi-definition mapping, radar and video sensors paired with higher processing powers and advanced connectivity options will enable the collection and transmission of significant datasets that will need to be privacy protected to ensure consumer trust in the technology. Vehicles will be more connected to each other and to the larger transportation grid as a result. Vehicles may be managed by fleets rather than individual owners. These advancements and more will save lives and make transportation more efficient, but will also pose challenges for regulators, policymakers, and consumers. I can’t wait to see how this space changes going forward—there is rarely a dull moment and it’s a pleasure to navigate these exciting questions. What do you think will be important privacy issues in ten years? Why?